If Miami is one of the hottest, trendiest cities in the country, then Brickell is one of the hippest "It" neighborhoods in America. 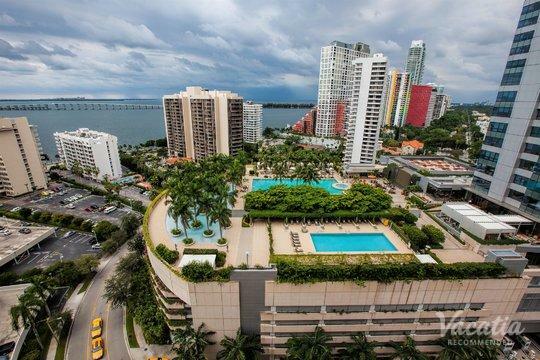 Located in the heart of Miami, this bustling urban environment is considered one of the best spots to live, work, and enjoy life in the city. As a young, hip neighborhood, there's also something to do or see in Brickell, whether it's the cutting-edge culinary scene or the vibrant nightlife scene. So if you want to experience the fun, the energy, and the excitement of Brickell during your upcoming Miami getaway, you should work with Vacatia to book your stay at one of the best Brickell rentals available. Vacatia provides travelers with high-quality vacation rentals in great locations, and you could get a taste of luxury, entertainment, and pleasure when you stay at a Vacatia rental in Brickell. If you want to plan a Miami vacation you'll never forget, consider staying in the hip, thriving neighborhood of Brickell, where you're sure to make countless lasting memories. Brickell is one of Miami's fastest-growing neighborhoods, and it's certainly a place you should check out during your time in Miami. If you work with Vacatia to plan your upcoming Miami vacation, you could even stay in the heart of Brickell, where you'll be surrounded by great dining, shopping, and nightlife. Not only can Vacatia help you find a great vacation rental in a desirable location, but every Vacatia rental property features added comforts that you're sure to love. For instance, each Vacatia property comes with a fully equipped kitchen and added living area, so you'll actually feel as if you're living in this trendy neighborhood rather than just visiting. Whether you're in Miami for business or leisure, you're sure to fall in love with the vibrant neighborhood of Brickell, especially when you have a great home away from home thanks to Vacatia. No matter what you have planned for your time in Miami, Vacatia can help make your upcoming beachside getaway one you'll never forget, so let Vacatia take the reins and help you plan a one-of-a-kind trip to Miami. Brickell is an urban neighborhood of Miami that has recently experienced a surge in popularity due to its population of young professionals. As Miami's densest neighborhood, Brickell feels like a true metropolis, which is why it's the perfect spot for those seeking the rush and excitement of a big city. Brickell is best known for its booming financial district, which is one of the largest in the country. It's also known for its abundance of trendy restaurants, bars, and shops, which is why Brickell is a terrific place to stay during your upcoming Miami vacation. 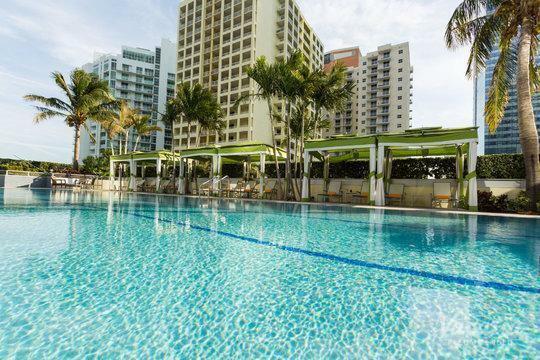 While Brickell is a bustling business hub during the day, it becomes a lively, exciting spot once happy hour begins, and you could join in on the excitement by booking your Miami accommodations through Vacatia. When you rely on Vacatia to book your vacation rental, you're sure to feel right at home in the trendy, energetic city of Miami.